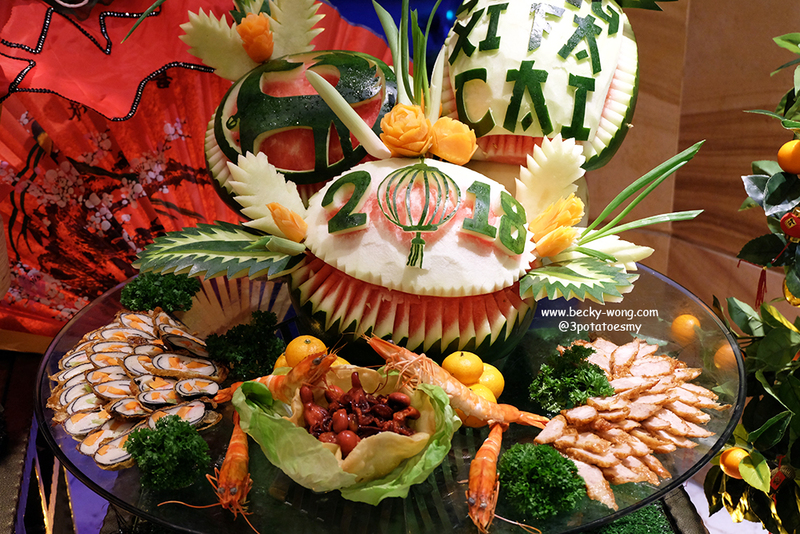 Chinese New Year is only one month away, and I'm sure many of you are already in the midst of planning where to have your reunion dinner. 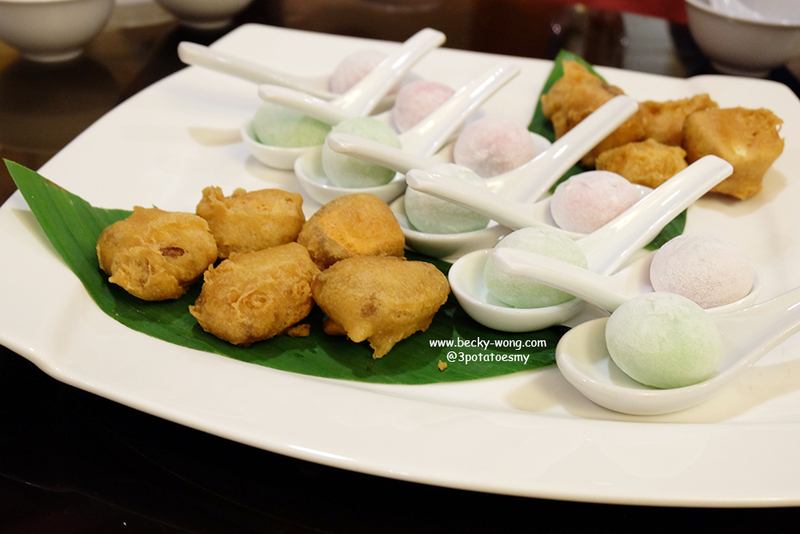 If so, then try something different this year with Feast of Prosperity at Armada Hotel PJ! 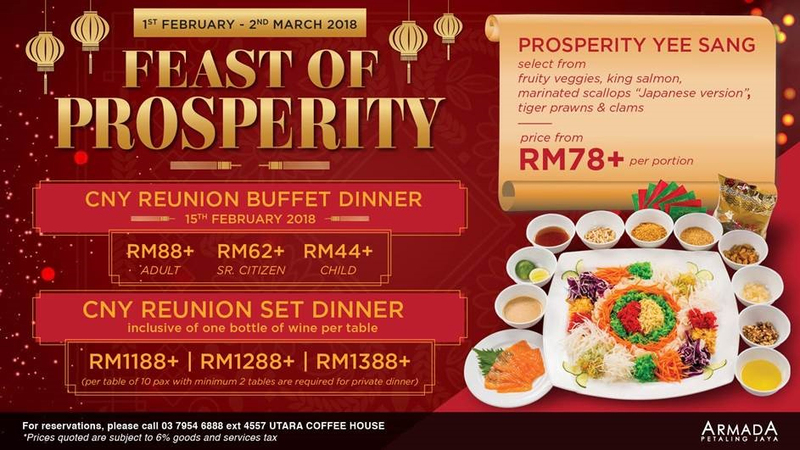 Welcoming the Year of the Dog, Armada Hotel has prepared something different this year with their Chinese New Year buffet dinner at Utara Coffee House. 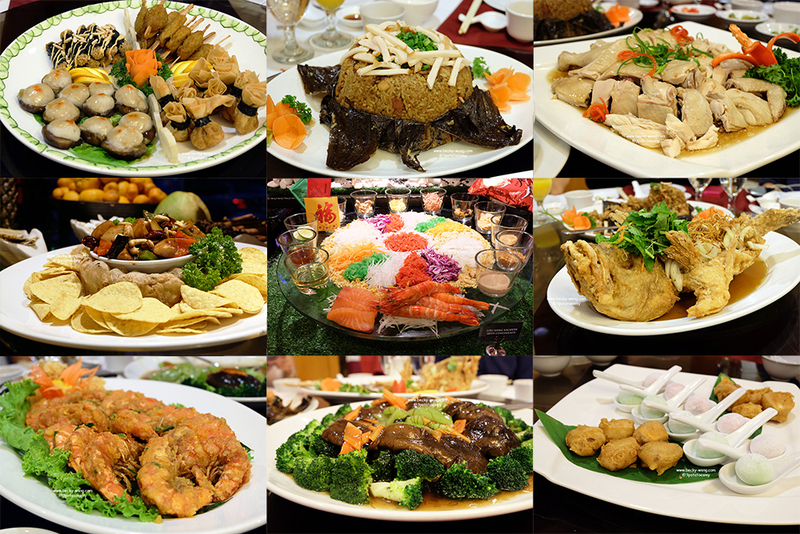 With buffet dinner, you no longer need to figure out which dinner slot you want to reserve at a Chinese restaurant; at the same time, you don't need to rush through your dinner just because another group of diners are coming in! Speaking of dining with peace of mind. Let's take a look at what Armada Hotel is offering! Yee Sang Selections. 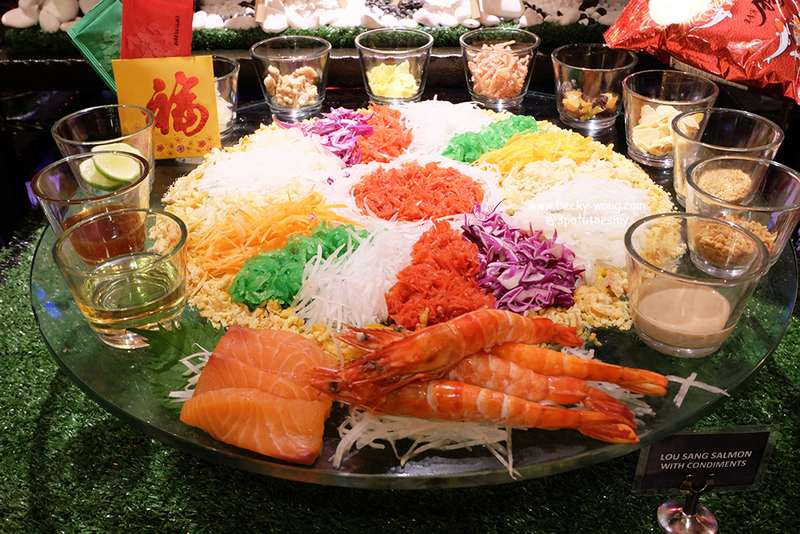 Kick off a prosperous new year by raising your chopsticks with exciting Yee Sang selections such as the Marinated Scallops (Japanese version) Yee Sang, King Salmon Yee Sang, Tiger Prawns and Clams Yee Sang and Fruitti Veggie Yee Sang (vegetarian). 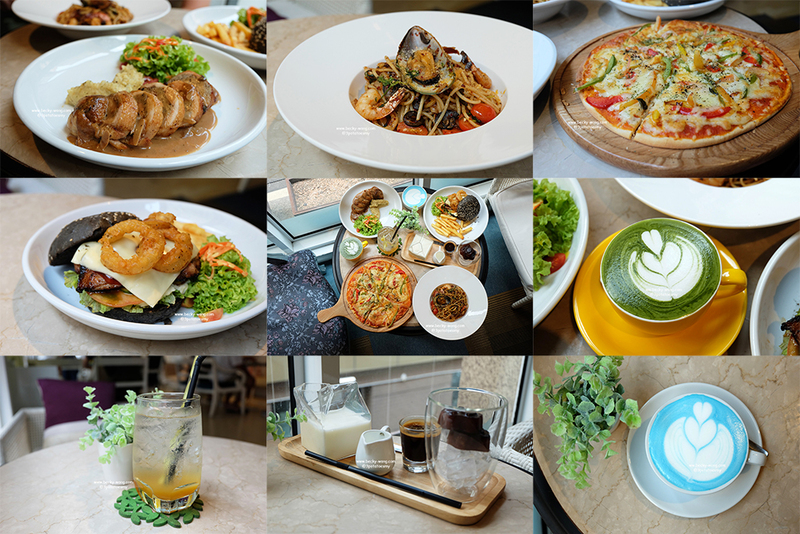 Priced from RM 78+ per portion. Prosperity Chinese New Year Hor d'oeuvres. Some small bites to get your appetite going. 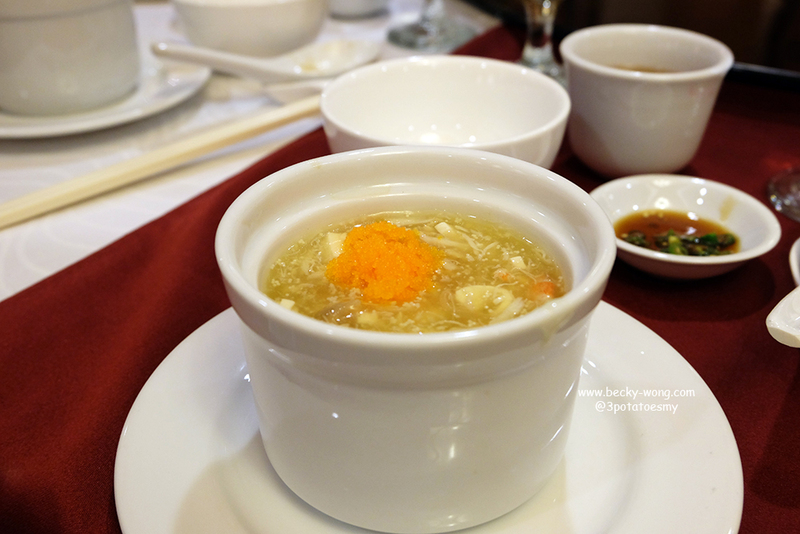 Braised Seafood Broth with Dried Fish Roe & Crabmeat. Instead of using actual sharkfin, they have replaced it with vermicelli, and topped it off with dried fish roe for some texture. I always enjoy a bowl of hot soup, and this soup is just nice. 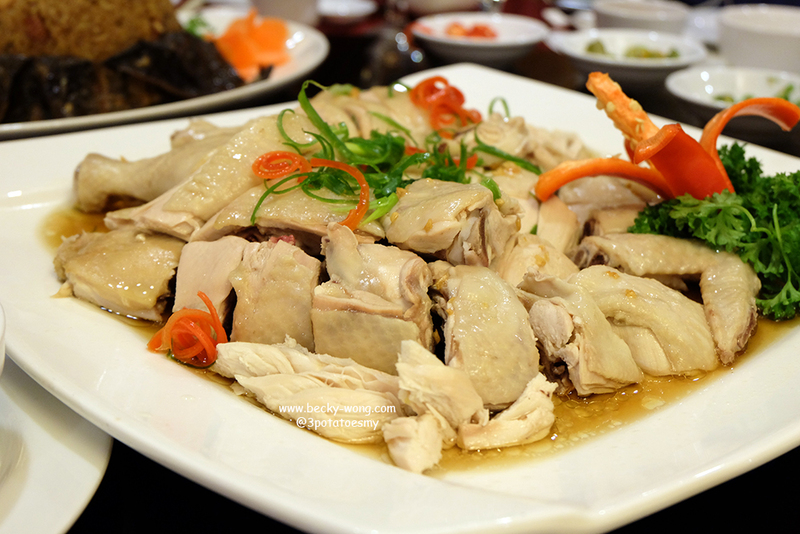 Steamed Chicken with Ginger & Scallion. Smooth and tender chicken meat with the subtle aroma of ginger, what's not to love? Chinese Assortment of Meaty Rice. 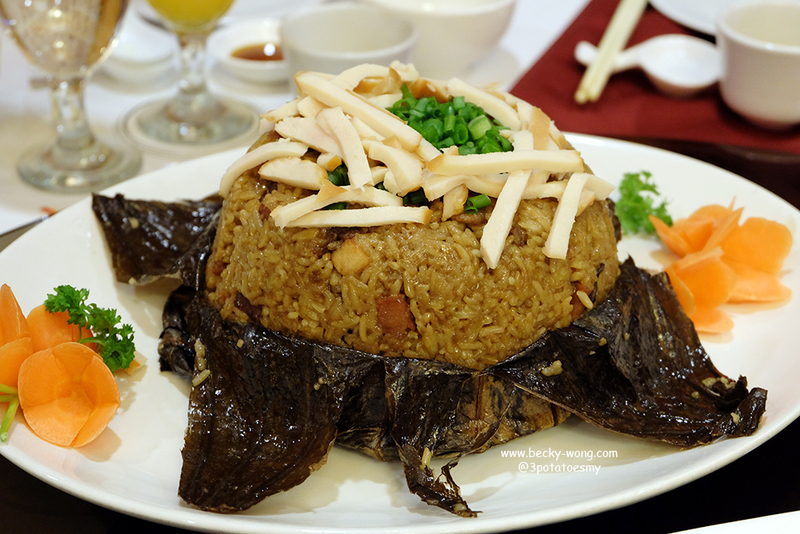 Cooked in lotus leaf, the rice is well seasoned and it has the fragrance of the lotus leaf. 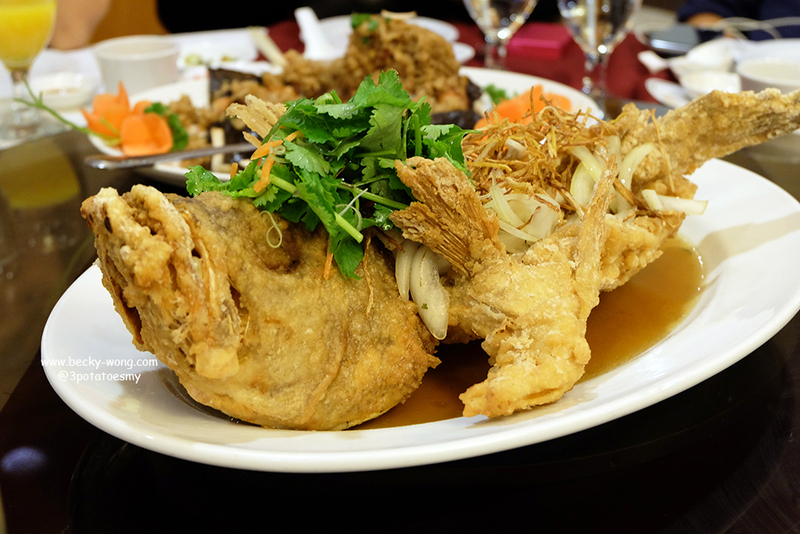 Deep Fried Grouper with Onion and Ginger Gravy. Crispy batter and flaky meat, the group was fried to perfection. 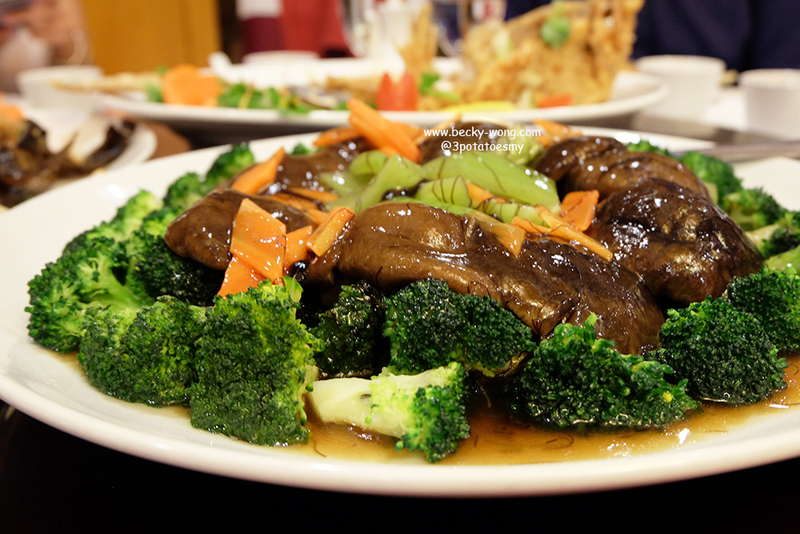 Braised Mushroom with Mustard Plant in Fatt Choy Sauce. One of the must-have dishes during Chinese New Year. Stir-Fried Prawns with Salted Egg Yolk. 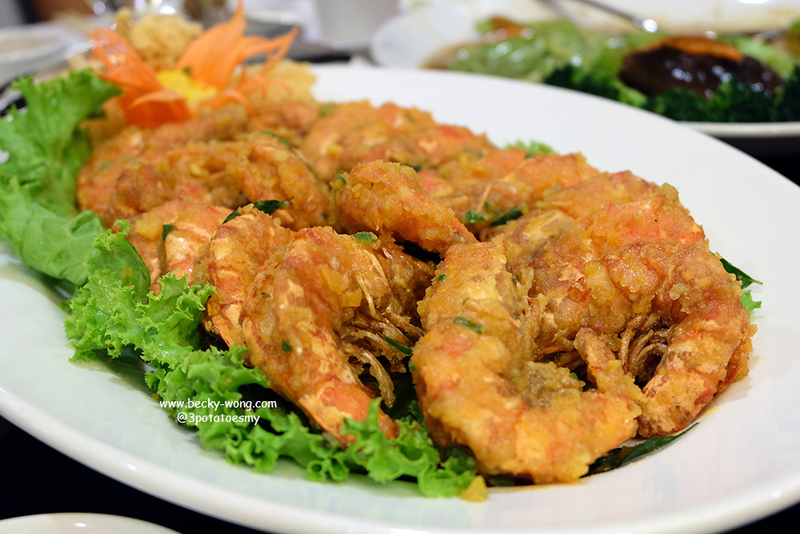 Each of the prawn is generously coated with a layer of salted egg. Finger-licking good! Sauteed Top Shell in Yam Savarin (Yam Ring). 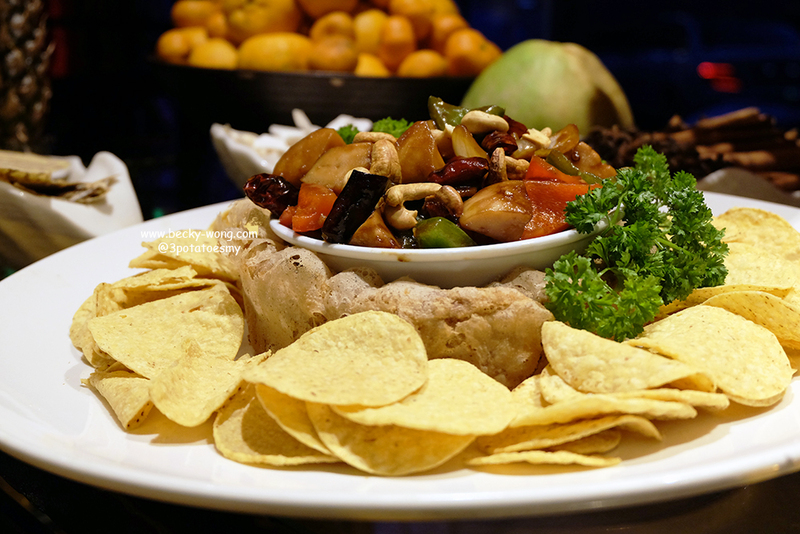 The fillings are pretty standard, but they uses Nachos to replace the usual fried vermicelli. Mochi & Deep-Fried Nein Koa. 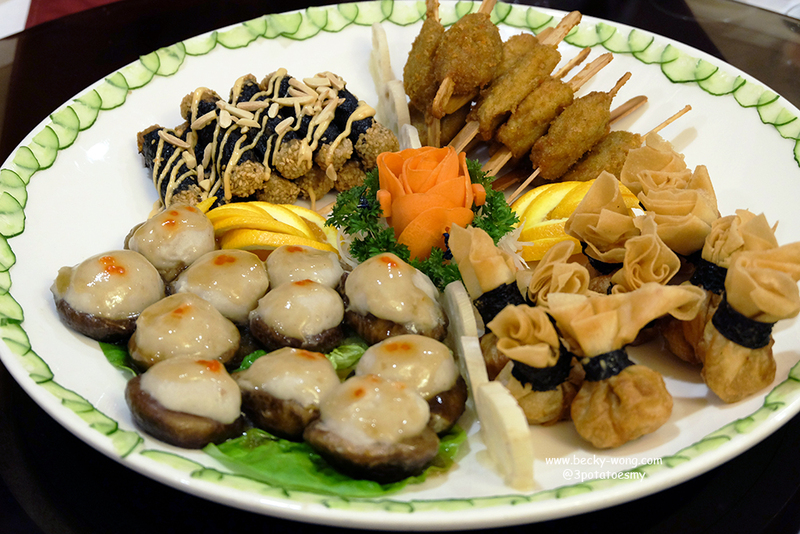 To know more information on Armada Hotel and their Chinese New Year meals, visit their Website and Facebook.